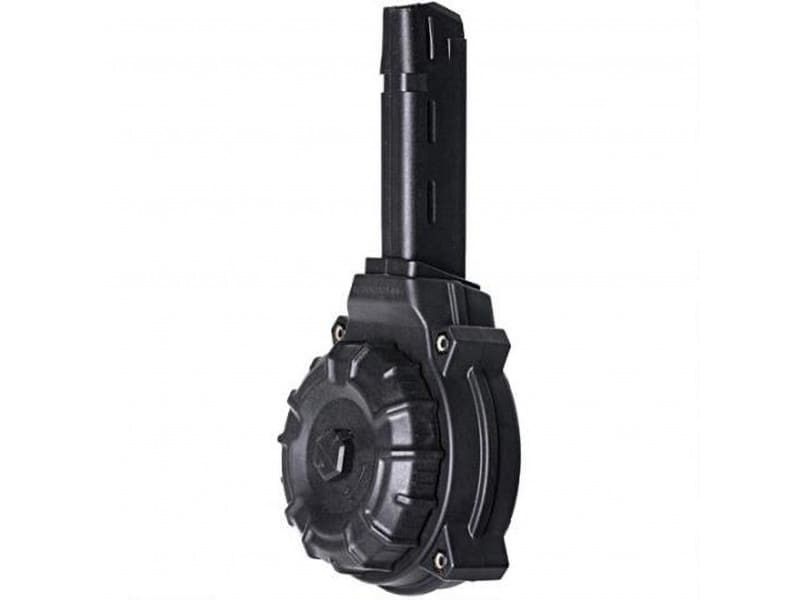 ProMag DRM-A11: This drum magazine holds 50rd of 9mm ammunition. Fits the Glock 17/19/26. Black polymer construction. 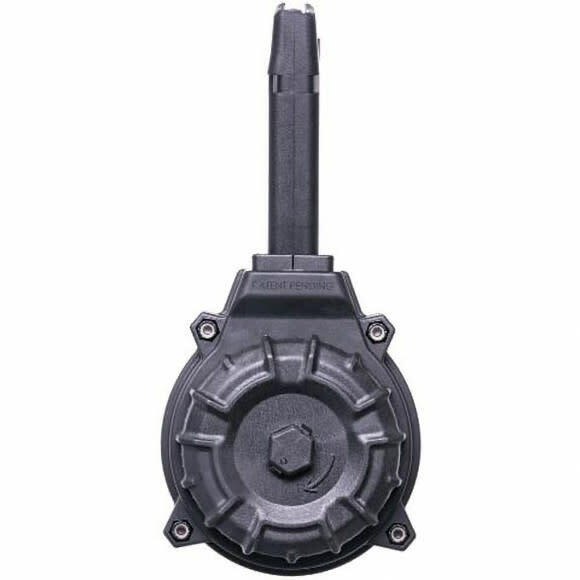 ProMag drum magazine that fits Glock double stack 9mm pistol models 17, 19, 26, 34 and other Glock magazine compatible firearms. Features the same patented follower system as the ProMag 5.56mm AR-15 drums for ultra-reliable feeding. 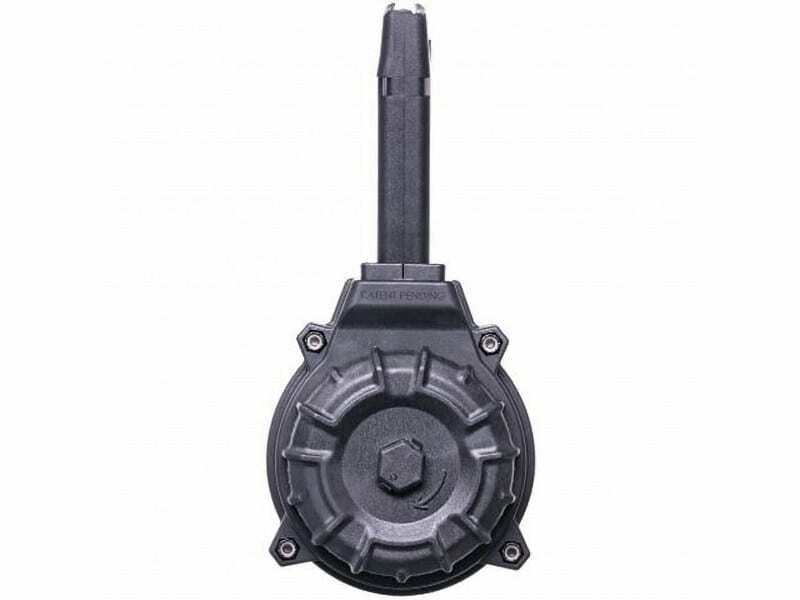 Over molded heat-treated carbon steel magazine upper housing combined with an impact resistant polymer drum housing and stainless-steel magazine spring for rugged use. Heavily field tested by ProMag's USPSA shooting team for use in Pistol caliber carbine competition this drum magazine sets a new standard for 9mm firepower and reliability.